As a fan of NASCAR, I was excited when it was announced that Excite Truck and Pilotwings Resort developer Monster Games was going back to where they had cut their teeth as a studio and was making a new NASCAR Heat game. Sadly, last year’s NASCAR Heat Evolution ended up being a major disappointment. While the on-track racing was solid, it wasn’t enough to overcome its lack of features. Thankfully, NASCAR Heat 2 seems to be fixing that issue. 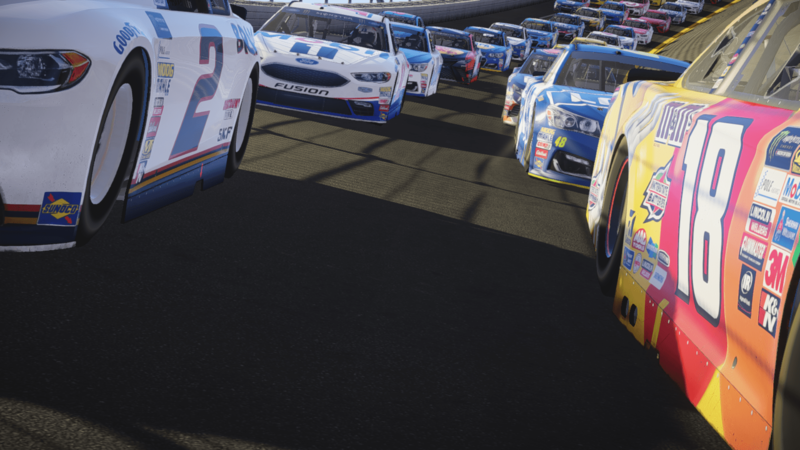 When I sat down to check out the upcoming sequel, a representative from publisher 704Games told me that NASCAR Heat 2 is all about addressing complaints from fans. 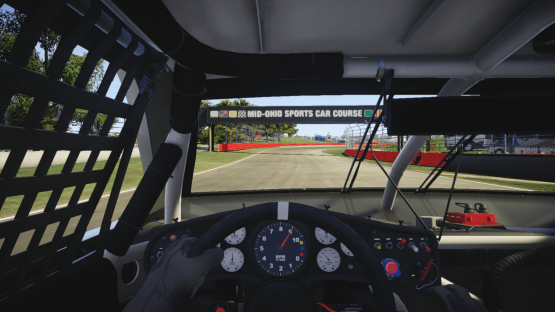 The three most requested features were local split-screen gameplay, the ability to participate in the other NASCAR racing series (such as the Camping World Truck Series), and enhanced online play. All of these have been added here, and it’s created a much better experience overall. The first of the improvements that I got to check out was the new racing series that have been added. Now instead of just the main Monster Energy Cup Series, players can participate in both the Camping World Truck Series and the Xfinity Series (which basically acts as the minor leagues for NASCAR). I ended up driving a truck on Eldora, one of the new dirt tracks that have been added exclusively for the trucks. I felt a difference in handling immediately, as the dirt offers up a very different experience from the paved oval tracks that make up the bulk of the game. This sort of variation is not only refreshing in a NASCAR game, but one that is needed. While the addition of dirt tracks help make the trucks feel more unique, they also handle slightly differently than the stock cars. The On top of that, the slightly longer body frames of the vehicles force drivers to pay more attention while trying to pass competition. It all adds up to be a familiar experience, albeit one that has plenty of slight differences that’ll pop up during a race. After testing out, and being impressed by the new addition of trucks, it was time to check out the regular cars in local split-screen. Any fears about the experience being compromised in split-screen went right out the window after I began. No frame drops occurred, and the racing felt just as smooth as it did when played in single-player. I also didn’t struggle to see the other cars when driving, as the camera still works perfectly despite the player’s view being half the size. Neither myself or 704Games’ representative did very well in the short split-screen race, as we both finished in the mid-20s. I was told this was due to the game’s adaptive AI, which will continue to improve as players keep on racing. Since my appointment was on the third day of E3, several hours of racing had occurred. This made the computer-controlled drivers put up quite the fight, and we simply didn’t have enough time (the race was only set to three laps) to make it to the front of the pack. It’ll certainly be interesting to see how the adaptive difficulty will manifest itself in the main game. I didn’t get to check out the third main feature, which is improved online, but I did get it detailed for me. One of the coolest features of the original was that 40-players could race together, but that ended up causing some issues. First, some players wanted to just cause mayhem by going backwards and wrecking other drivers. That has been addressed by making players turn invisible when going backwards, so any mayhem will have to be done offline. The other big feature is being able to add AI drivers to online matches, so that way matches won’t be difficult to fill. One of my biggest complaints about the original was the lackluster campaign mode, and while 704Games wasn’t willing to talk about that in-depth yet, they did mention it was being worked upon. NASCAR Heat 2 will also feature all of the post-release improvements that were patched into the original game. This includes the ability to see the alcohol sponsors on cars (there’s an age gate now in place), and less pop-in when driving around the track. NASCAR Heat 2 shows that Monster Games and 704Games really took the criticisms of the original game to heart. This looks to be a vastly improved racing game, and one that NASCAR fans will definitely want to check out when it releases later this year. The original provided a solid foundation, but this finally has the bells and whistles to be a real contender in the racing genre. NASCAR Heat 2 is set to release September 12, 2017 for PlayStation 4, Xbox One and PC. Previewed on PS4.